That dress is lovely! It really suits you. You look absolutely beautiful! And I LOVE that denim jacket over the dress!! Such a gorgeous dress, looks so lovely on you. I'm liking the fact you've got your denim jacket out - need to get mine out soon! Wow wow so!! Amazing dress- it has a really cool modern pin up look to it and you look beautiful!! I want a denim jacket so bad, I think the last time I had one I was about 6! Interesting style: this dress+hat, unusually. 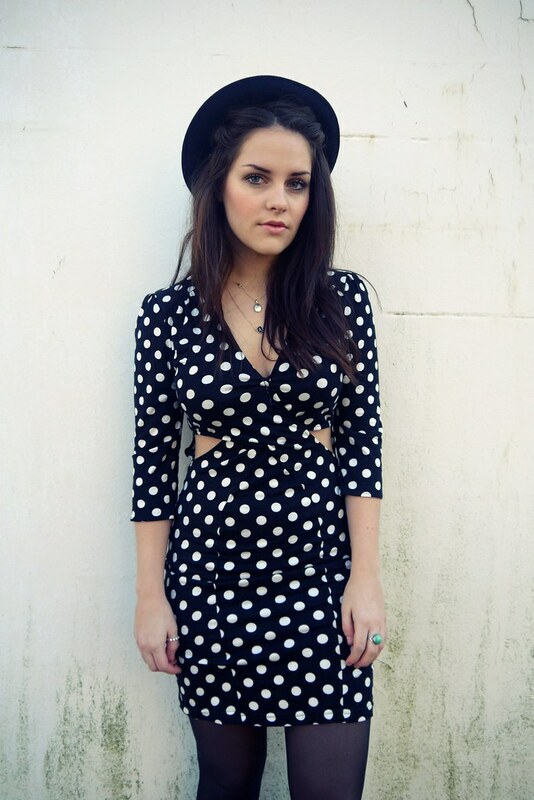 Oooh you look so lovely, polka dot dresses go so well with denim I think!